For all of you who've had your eyes on the awesome LAVATUBE by Volcanoecigs, here's some really good news for you... It's on sale! Yep, the Lavatube is on sale. And during this special Lavatube sale (for a limited time), you can get your hands on a beautiful Lavatube for a full $20 less than the usual price. Check it out! 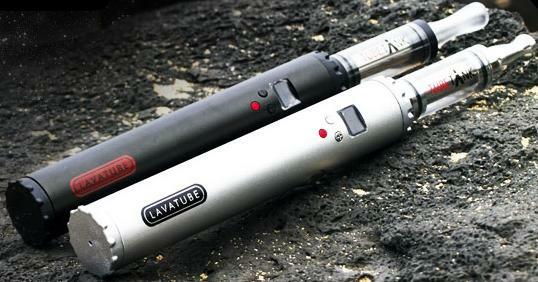 The Lavatube is the highest powered e-cigarette currently offered by Volcanoecigs. It's a variable voltage e-cigarette that lets you control your vaping experience with the touch of a button. Basically, you can dial it to suit your preferred style of vaping. Since the Lavatube is a variable voltage e-cig, you can set it to vape anywhere from 3 volts to 6 volts, in .1 volt increments. An LCD screen shows you the current voltage you have the device set to. Want more vapor production and throat hit? Just press the button to dial it up. Want less? Just press to dial it down. The Lavatube is a favorite of many vapers due to its design quality, vapor production, reliability, etc. It's also got some pretty neat safety features, like its auto-adjust capability (short circuit/atomizer protection). With this feature, the Lavatube is able to recognize an atomizer with too low of a resistance and automatically drop the voltage in order to protect the atomizer and your battery. It will also automatically shut off power to protect your Lavatube from being damaged. So if you've had your eye on the Volcanoecigs Lavatube, now's your chance to get one and save a lot of money . This Lavatube clearance sale is only for a short time. So don't miss it.